If you’re a fan of decking out the exterior of your home with holiday décor, first schedule a professional window and gutter cleaning. No matter how well you decorate your home, clogged gutters and grimy windows will outshine your holiday lights. Aside from making your home look great, a professional cleaning will ensure it holds up throughout winter, so consider the key reasons to hire cleaners below. If you experience freezing temperatures, you’re accustomed to seeing icicles dangling from roofs. While it may look nice, it means water is freezing in your gutters. When they’re full of debris, the water creates an ice dam. Buildup puts immense strains on your gutter system, and gradually, will pull it away from your home. A gutter cleaning will prevent the issue, so don’t wait for the snow to arrive before you clear them out. 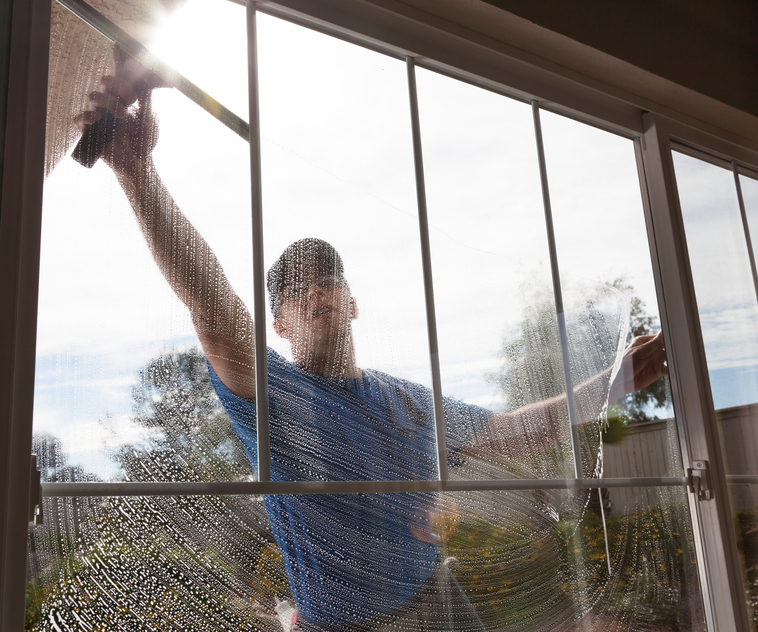 Dirty windows gradually weaken and are susceptible to etching. Holiday snowfall and storms can whirl debris around, leading to scratches and even cracks. These unsightly marks not only keep your home from looking pristine, but they also take windows one step closer to breaking. Clean windows are better protected from etching, so hire a residential window cleaning team to spruce things up before you begin hanging outdoor decorations. Since hanging holiday decorates takes a large chunk of the day to complete, you want to ensure that all of your hard work is enjoyed by your family, friends, and neighborhood. Clean gutters and windows will ensure everything looks perfect and captures the holiday spirit. Schedule an appointment with window and gutter cleaning professionals before you hang anything, so they have easy access across your home’s exterior and complete the job without interruptions. Since 2007, owner Peter F. Artusa and the team at All County Window Cleaning have ensured home and business owners throughout Sussex County, NJ, can enjoy stunning property exteriors. From window and gutter cleaning to roof treatments, we bring the tools and experience needed to deliver lasting results. Call (973) 827-8311 or 845-988-5535 to schedule a cleaning or click here to contact us.